Last year we introduced you to one company with a pathway to capitalise on what many have dubbed the fourth industrial revolution – lithium ion batteries . 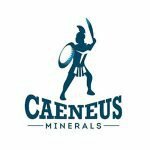 Since then, Caeneus Minerals (ASX:CAD), has experienced major developments... and is now at the stage where it is about to commence drilling at its Lithium Brine Exploration Projects in Nevada, USA. Nevada is the heart and soul of the battery and electric vehicle movement and is the home of Tesla’s Gigafactory as well as Faraday Future Corporation’s proposed $1 billion electric car factory. Both are not too far away from where CAD is exploring. The State is also home to the only currently producing lithium mine in the US, the US$12 billion-capped Albemarle Corporation’s (NYSE:ALB) Silver Peak lithium-brine mine. In the coming weeks, CAD will be launching its drill program across all three of its brine projects. Following a slight delay in the completion of its technical program due to poor weather conditions, CAD is now back on track to start drilling at its Scotty’s South project. Drilling will commence around the 17th April, subject to the possibility of needing to conduct a bird survey or archaeological survey as determined by the BLM application review process. Drilling follows the completion of a gravity program at Scotty South confirming the presence of a sedimentary basin with the potential to host lithium brines. Over at Columbus Marsh, the gravity program confirmed simple and broad gravity suggesting a deep basement with a large amount of sedimentary basin cover with the potential to host lithium brines. CSAMT (Controlled Source Audio-frequency Magnetotelluric) results at Columbus Marsh also showed a very conductive, homogenous layer for several kilometres below the surface. Scotty South will be the first Project drilled, given the overall positive results to date at all three projects, this $21 million ASX small cap will drill all three brine projects in sequence. Should it prove up results, it could be the first step on CAD’s journey of properly infiltrating the North American lithium market and by proxy, the battery revolution. Caeneus Minerals (ASX: CAD) is narrowing in on one of the world’s hottest lithium regions — Nevada. You might recall from school that the first industrial revolution, beginning in the 1700s, saw steam, water, and mechanical production equipment revolutionise manufacturing. The second industrial revolution arrived in 1870 bringing mass production, a division of labour and electricity. Then, more recently beginning in 1969, the third industrial revolution brought IT, electronics and automated production. ...and it too brings vast opportunities for investors. This new battery-powered revolution includes the advancement of autonomous vehicles, 3D printing, nanotechnology, advanced materials and energy storage. The shift from oil powered vehicles to electric is already well underway with frequent news of how electric vehicles will drive the future. Yet, so far we’ve only had a taste of what this revolution could bring. The potential of electric vehicles — and the lithium-ion batteries that power them — is so great that oil industry is getting worried, faced with estimates that electric vehicles could cut demand for oil by a million barrels each and every day by 2025. 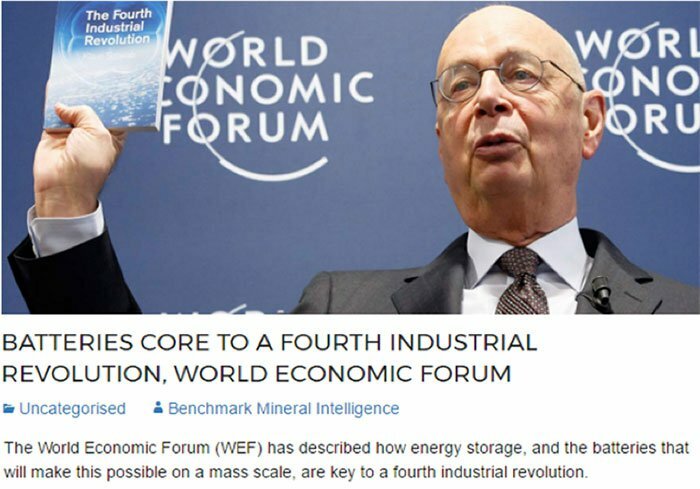 One thing that’s needed to power this revolution is an adequate supply of battery materials — the primary ingredient being lithium. And that’s sent lithium prices soaring. They’ve seen double digit gains year after year, while junior miners are busy staking claims on future supply. Of course, commodity prices do fluctuate and caution should be applied to any investment decision here and not be based on current prices alone. Seek professional financial advice before choosing to invest. 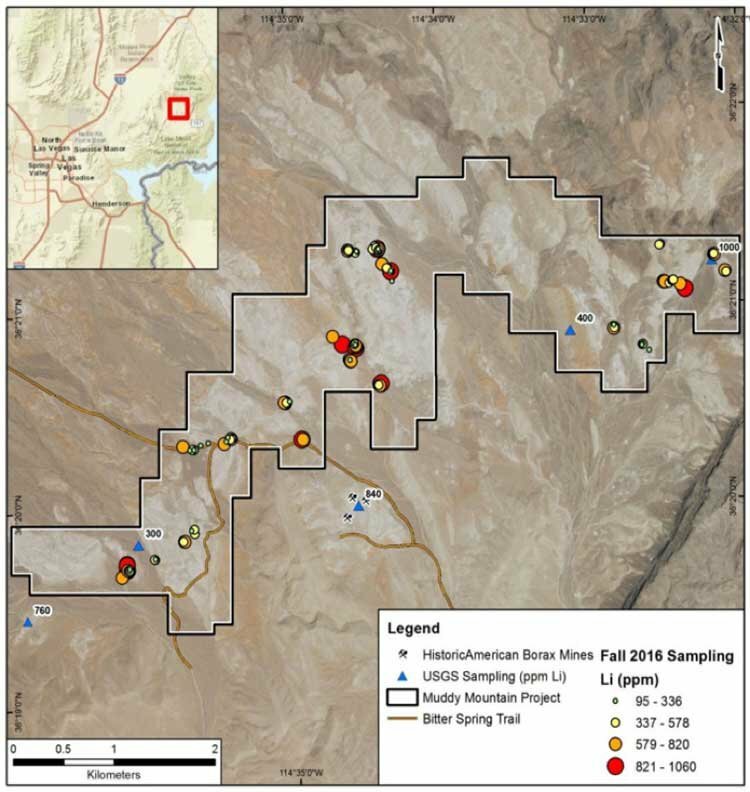 CAD has targeted lithium brines and clay projects in the highly prospective geological terrain in Nevada, where there are many rocks with high lithium content, including the Horse Spring Formation, McDermitt Caldera and a variety of igneous rocks. Nevada has good, established infrastructure with power and transport passing close to each of the company’s projects. It also has very low sovereign risk which positions it favourably compared to other major lithium producing jurisdictions such as Bolivia, Chile, Argentina and China. When it comes to lithium, CAD see lithium brines, as opposed to hard rock, as the future for the in-demand metal. Lithium brine deposits are accumulations of saline groundwater that are enriched in dissolved lithium and make up around two-thirds of the world’s lithium resources. Mining costs tend to be much cheaper at brine deposits than for hard rock pegmatites or clay given that the lithium is extracted from a liquid. 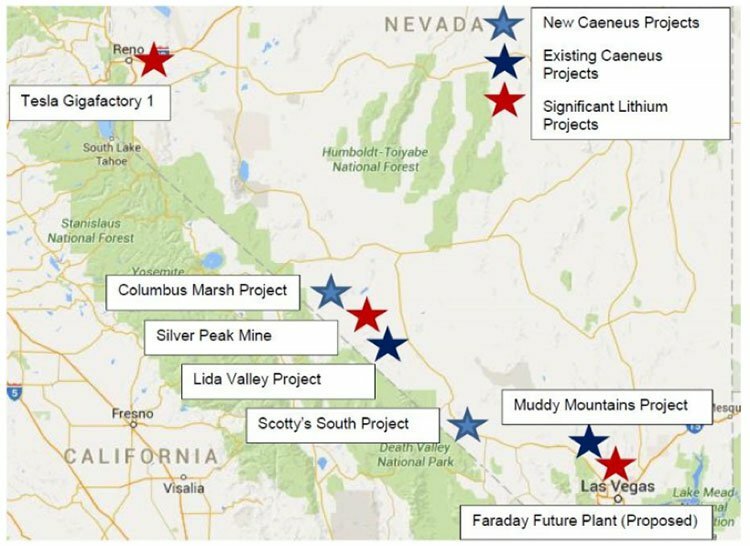 While CAD’s focus is on identifying a lithium brine resource, its suite of projects covers the full gamut of possible lithium mineralisations across Nevada. These include lithium brine in Nevada at Lida Valley, Scotty’s South, and Columbus Marsh; lithium clay in Nevada at Muddy Mountain and New King. We first wrote about CAD back in April 2016 in the article Up the Road from Tesla: ASX Junior moves into USA Lithium and then followed up with a further article in July 2016: CAD to Start Lithium Drilling near Tesla. We last updated you on CAD’s progress in October last year. Before it ultimately begins its drilling around 17 April for a lithium enriched aquifer, CAD was making the best determination of how to proceed. The results are good reason to believe CAD’s lithium brine projects could be fruitful. One highly promising sign is the proven existence of lithium rich clay horizons discovered in relative proximity to all three of CAD’s lithium brine exploration projects. Drawing upon the neighbouring work has helped CAD determine which project has the best ‘proven concept’ and given it the ability to outline a scenario to maximise its chances of drilling success. The following map summarises the large number of active participants in the region (CAD projects in yellow). Note the location of US$11.7 billion-capped Albemarle’s (NYSE:ALB) Silver Peak Mine sitting between CAD’s Lida Valley Project and its Columbus March Project. Silver Peak is the only producing lithium mine in North America. On February 10, CAD updated the market with exploration progress at its lithium brine projects at Scotty’s South and Columbus Marsh in Nevada. The existence of lithium rich clay horizons have been proven close to all three of CAD’s lithium brine exploration projects. Iconic Minerals’ (TSXV:ICM) Bonnie Claire Lithium Project immediately abuts CAD’s Scotty’s South project to the north. Bonnie Claire has recorded strong recoveries leaching lithium from sediments. 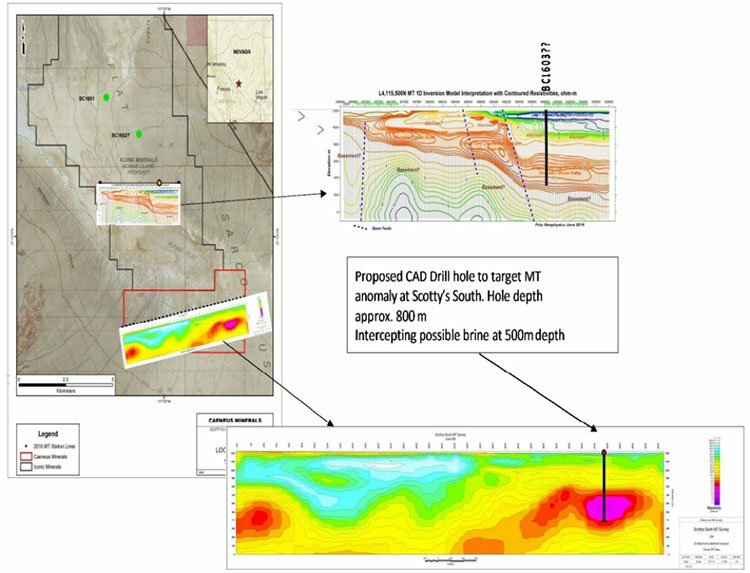 The two projects — Bonnie Claire and Scotty’s South — have identical geology and geophysical signatures, indicating that lithium-bearing sediments may occur continuously between the two drill holes. Additionally, Iconic may have identified a new method of commercial lithium extraction used to leach lithium from the sediments at Bonnie Claire. Which could play right into CAD’s hands. CAD with the help of technical consultants, drillers and other specialists determined the prospectively of interpreted brine horizons from successful cores. The update included a summary of CAD’s geophysical work programs at a number of its projects. The company had been working through huge amounts of technical data that has built up from drilling currently underway at nearby projects. CAD’s latest news is the result of all this prior work and has led to the imminent commencement of its Phase One Drilling Program to commence around 17 April. Here’s a look at each project and how the drilling will pan out. Scotty’s South will be the first Project drilled, following a detailed gravity survey to map the basin area. This project consists of 200 claims totalling approximately 4,000 acres and is a desert playa lake located 72 kilometres southeast of Clayton Valley. Results from the local gravity program were integrated with highly encouraging geophysical data from a previously reported MT geophysical program. Magnetotelluric (MT) survey results were received in January and in a highly encouraging exploration update on the project. 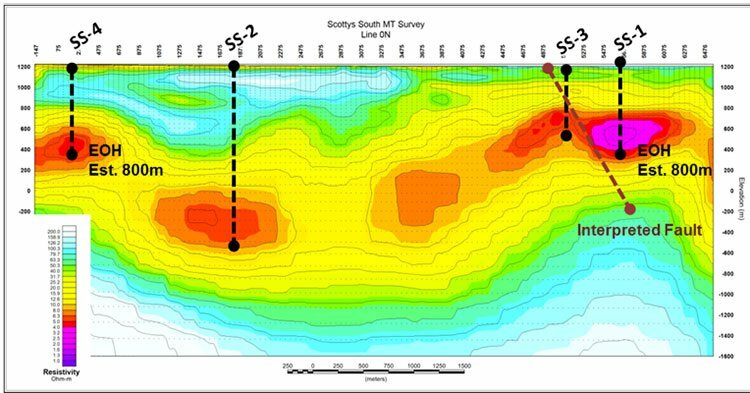 The MT survey at Scotty’s South found strong resistivity targets. It defined a long tabular layer of low resistivity coupled by a series of large ovoid ‘blobs’ and a very low resistivity anomaly to the east of the claims. These results suggest that the area has significant potential to host conducive lithium-rich brine aquifers or saturated clays, or both. Results from the local gravity program have been combined with the geophysical data to generate a detailed model of the basin fill to more accurately determine the basin / sub-basin depth and delineate the structural setting. Optimal drill targets were then be determined in conjunction with the MT survey data. From the map above, you can see the strongest conductive layer is between 400 and 800 metres depth in the proposed SS1 target zone. It is interpreted to have significant potential to host conductive lithium-rich brine aquifers or saturated clays, or both. SS-4 on the western edge of the project will also to be targeted to test the shallower part of the same anomalous layer. CSAMT suggests a possible brine at a very deep 1.2 to 1.8 km below surface, corresponding very well with the bowl of the gravity low. Once these holes are drilled, CAD will then consider SS-2 and SS3 as part of a possible future drilling campaign. 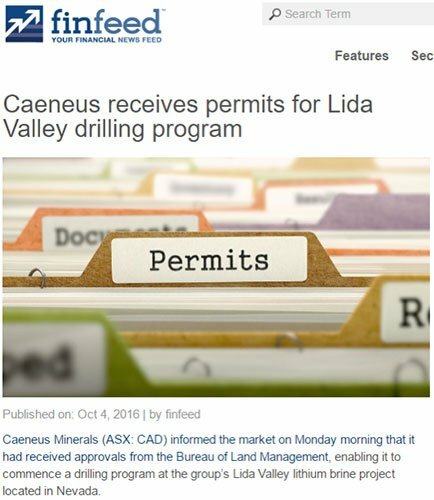 CAD view its Lida Valley Project as another ideal location for the development of its lithium rich brine deposits. The project covers around 2,620 acres in west-central Nevada, within 40 kilometres of Albermarle‘s Silver Peak Lithium Mine. The company has refined drill targets a Lida Valley based on work undertaken by the Eureka Resources-Advantage Lithium Joint Venture at Gemini, approximately 20 kilometres west, and MacArthur Minerals immediately to the north. CAD has found that the Montezuma Peak was the interpreted source for the lithium contained in brine discoveries in the Clayton Valley – it is interpreted that Lida Valley represents the possible southern migration of this flow. Furthermore, complex gravity reflects possible shallow basement and the project is situated within a broad gravity-low. CSAMT suggests a possible shallow brine at roughly 100 to 300 metres below the surface. Several holes including LV-1 to LV-5 have been permitted to test the varying gravity and CSAMT anomalies. Two holes in particular, LV-1 and LV-4 are to be drilled as part of Phase One Drilling Program. The figures below highlight the historical CSMAT Survey and permitted drill holes. The Columbus Marsh Lithium Project covers 4,200 acres located in a large closed basin in the lowest sump in the region. A complete MT geophysical survey was undertaken at Columbus to allow CAD to better compare projects and prioritise them ahead of the company’s maiden drilling campaign. A proposal was received for one 4.5 kilometre MT line across the entire width of the project. The gravity survey was scheduled to commence immediately following work at Scotty’s South. In the meantime analysis of project data sets in conjunction with nearby work programs is ongoing so as to determine the optimum drilling strategy. Additionally, interpretation and analysis of work being performed by Noka Resources and American Lithium in Fish Lake Valley, will feed into the Columbus Marsh Project. From there, when the above information is available, CAD will be in a position to form an outline of priority drill targets. One priority target will be CSM1, to test stratigraphy and nature of groundwater with follow up refinement of drill targets as part of future drilling campaign. Columbus provides a large mature saline basin, surrounded by tertiary epithermal systems indicating that hot springs activity has been an influence. Source rocks include the Fish Lake Valley, Rhodes Marsh, extensive areas of Esmeralda Formation including the entire south-west slope of the basin, and an active geothermal system. 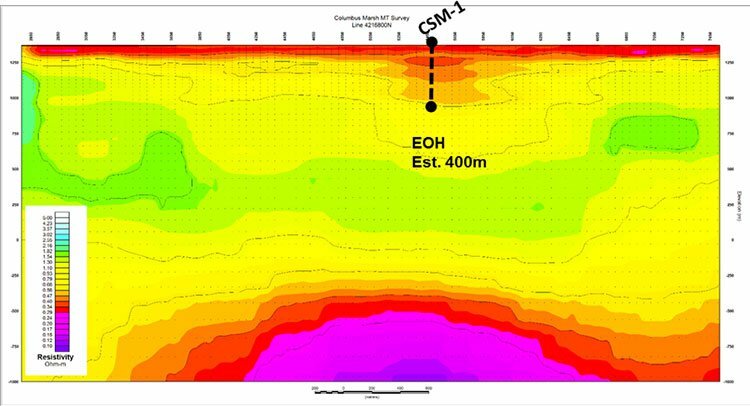 The Columbus Project is at the northern end of the gravity low and in the central part of the basin and the CSAMT survey shows a very conductive, homogenous layer for several kilometres below the surface. So CAD seems to be moving through its gears now with its lithium brine Projects, but what about the lithium clay? CAD’s 100% owned Muddy Mountain Lithium Clay Project is a world class exploration target and a potential high impact ‘district-scale’ lithium clay project. It encompasses almost 2,914 acres of the exposed Horse Spring Formation in southeast Nevada, about 50 kilometres northeast of Las Vegas. The sample results definitively confirm the existence of lithium mineralization across the entire Muddy Mountain Project Area. CAD has confirmed lithium mineralisation within sedimentary units of the Horse Spring Formation, measured and sampled at approximately 19 sections along a seven kilometre exposure. Twenty-seven samples greater than 700 ppm lithium, with five samples greater than 1,000 ppm lithium (max 1,060 ppm Li or 5,639 ppm Lithium Carbonate Equivalent (LCE)) were identified at multiple locations within the project. The most prominent section averaged 830 ppm Li (4,415 ppm LCE) across 12.4m approximate true thickness. A total of 118 samples were collected and contained between 95 and 1060 ppm Li (505 ppm and 5,639 ppm LCE) averaging 514 ppm Li (2,734 ppm LCE). 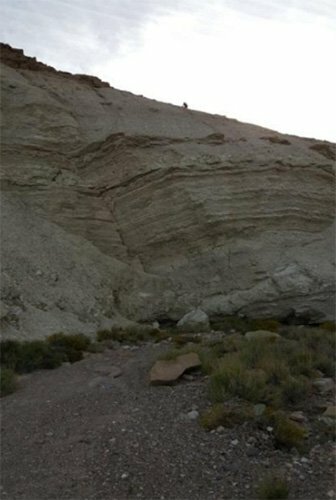 Data supports that the lithium is contained in exposed (uplifted and eroded) stratigraphic sediments and exists as a potential large, low grade deposit. There is also potential that higher lithium values are present in the subsurface as this strata hasn’t been impacted by weathering or lithium re-mobilisation. 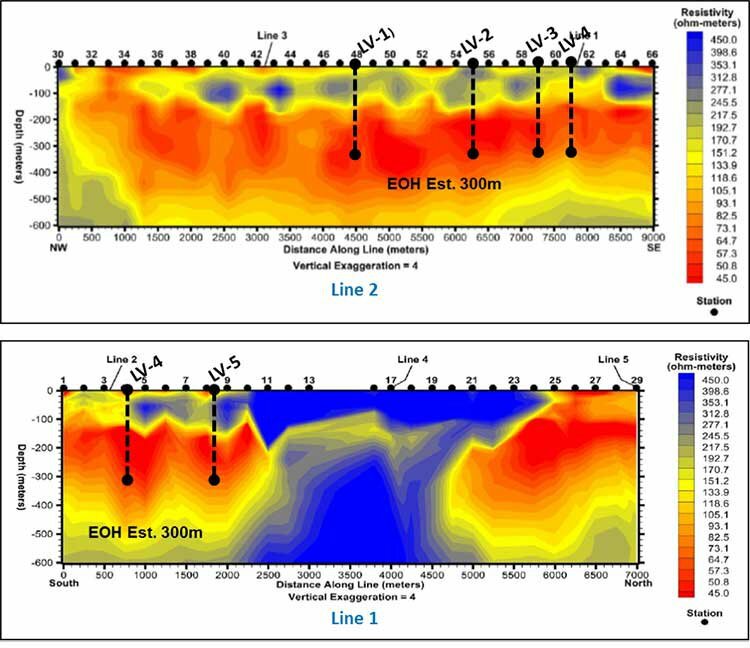 The results indicate the potential to delineate a large surface footprint of lithium mineralisation. CAD is planning a detailed follow-up review to determine the potential for a higher-grade zone. There’s speculation that the project could produce a large tonnage lithium deposit similar to the nearby Lithium Americas’ (TSE: LAC) Kings Valley Project and Bacanora Minerals’ (CVE: BCN) Sonora Lithium Project. On top of this Muddy Mountain may also contain considerable mineable borate. Located just 350 kilometres from Tesla’s plant, CAD’s New King Project is a potential district scale lithium clay project located in the established McDermitt mining district in Northern Nevada. The acquisition complements CAD’s overall lithium play with multiple projects to be explored in this lithium hub. CAD acquired the New King Project in October last year when it acquired 100% of private company Nevada Clays Pty Ltd. You may remember us discussing the acquisition when we updated you on CAD’s progress back in October. CAD announced a capital raising earlier this year of just over $1 million. The funds raised will be directed towards exploration efforts at its Nevada operations, including those discussed above. The company has enough cash to be in the fortunate position of being able to strategically choose to evaluate one, two, or all projects within the first round of drilling. This offers economies of scale for things like mobilisation costs and technical consultants. CAD is taking the right steps on its path towards successful exploration. It looks on track to follow through with its work proposals scheduled for the remainder of the year – with a focus on imminent drilling.